Boutique of Quality Books, 9781939371928, 362pp. Meanwhile, Ahmed, more con man than graduate student, discovers samples of Jason's that contain the virus. He steals them and flees to Yemen where he pretends to be a devout Muslim to get funding from a terrorist group that believes the virus will be valuable as a biological weapon and as bait to lure the CIA into military action that will kill innocent civilians and increase hatred of the US. "A medical thriller that will keep you guessing and engaged while offering subtle humor as the good guys triumph." As a graduate student at the University of Minnesota College of Veterinary Medicine, Gary Jones developed a way to extract microbial DNA from swine feces and a molecular test for Lawsonia intracellularis, the cause of a disease in swine and horses. Gary earned a Ph.D. in microbiology and spent the following 19 years working on R&D vaccines for cattle and swine. He supervised clinical research on bovine coronavirus for a major pharmaceutical company, and studied the evolution of virulence of pathogens. 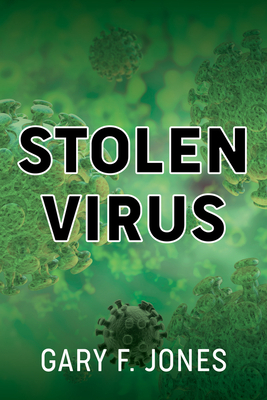 Stolen Virus is his second novel. His first, Doc's Codicil, was released in October of 2015.